Has your fitness progress suddenly stalled? This is what happens when you hit a fitness plateau. You could hit a muscle growth plateau or a weight loss one, and it can be quite demotivating. However, it is not the end of the world. Here are some great tips to help get you back on track to your fitness goals. A new workout will most likely be challenging and hard at first. After a while, it will start to become easier. This is your body becoming accustomed to the workout that you are doing. While it means that you are improving, it also means that your results may not be as significant as they were previously. In some cases, you may not see an effect at all anymore. If you have reached this weight loss or muscle growth plateau, then you may need to change your workout and give your body something new and challenging to work through. If you are unsure of what new exercises to incorporate into your training regime, then try using a gym workout app that has an extensive exercise library where you can pick and choose what workouts are best suited to your goals. Then, you can add this to your routine to give yourself something different to try. After a few weeks, the same thing may happen again so just go back to the exercise library and take advantage of your customizable gym workout planner to reverse the effects. Another way to get a new training plan is to find ready-made proven training programs. Some gym workout apps may have some available, so you can pick the one best for you. Not only will this help you get out of your fitness plateau, but it will keep your training from becoming too static and boring. If you have been working out by yourself and start to stall, enlist the help of a trainer. A trainer will be able to see everything that you are doing (and not doing) and recommend a new training plan to stimulate your progress again. By having someone with expertise and an objective view, you can gain fresh ideas into your training routine. However, trainers can be quite pricey, especially if you have regular sessions. While they can be a worthwhile investment, an alternative is to just get one or two sessions so that they can teach you new exercises and strategies to try, and then you can set off on your own again. Maybe a change of scenery can help you out. After going to the same gym day after day, year after year, you might be bored of seeing the same environment. Changing gyms and seeing new facilities, being in a new environment with a different vibe to your previous one may be what you need to break out of your weight loss or muscle growth plateau. It is easy to spend a lot of time on the areas that are your strengths. If you are good at the bench, then you may tend to focus on the bench a lot. If you love cardio, then you may avoid the weight area. Doing so can contribute to your fitness plateau. In order to truly progress, you cannot avoid your weaknesses. In fact, addressing them and spending more time on them can really assist in boosting your fitness progress again. So next time you are at the gym, look at an exercise library filled with different workouts. This way, you can see which ones you need to improve on. It can be challenging, but it really can do wonders for your overall fitness. One way to experience a plateau is from training too much and not resting enough. It sounds ironic but the training more doesn’t necessarily mean you will progress faster, especially if you are looking to build muscle. It is actually when you are not training and recovering that your muscles begin to repair themselves so if you are not giving yourself adequate recovery time, you are actually adding to your muscle growth plateau. Make sure that you schedule in days where your body can properly recover. You may find that it can make a big difference to your progress. Experiencing a fitness plateau can be frustrating but it is only a small bump in your progress. Try some of these tips to help break out of that stall so you can continue making steps towards your fitness goals. 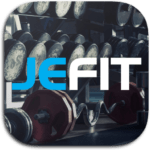 Take advantage of a gym workout app that can help you move on from a weight loss or muscle growth plateau like Jefit. Armed with an extensive exercise library, customizable gym workout planner and a supportive community filled with similar-minded people, you can really break through your fitness plateau in no time at all. Have you ever experienced a fitness plateau? What tips have you tried to break out of it? Let us know in the comments, we would love to know!